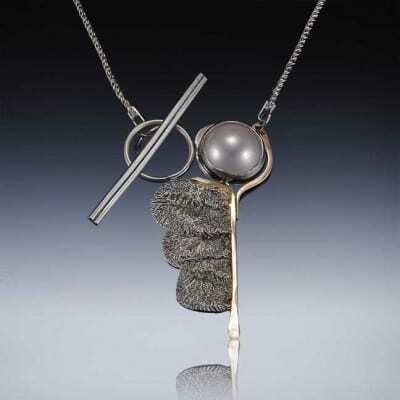 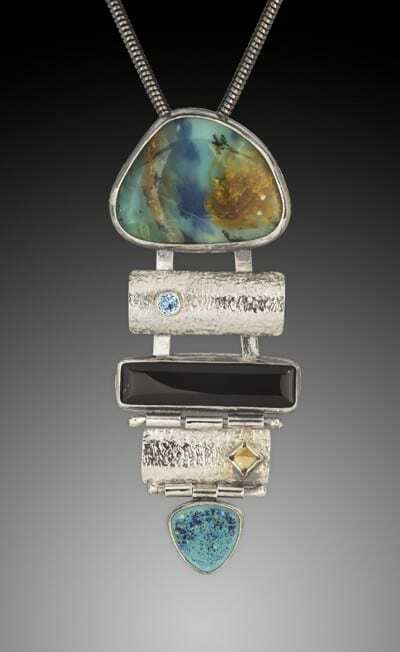 We make creative, wearable art, one-of-a-kind pieces for today’s women. 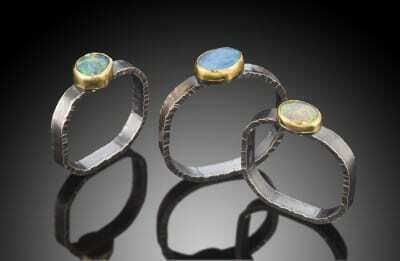 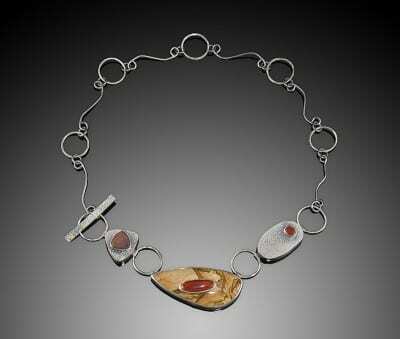 Each piece is hand-fabricated capturing a moment of life in metal and stones. 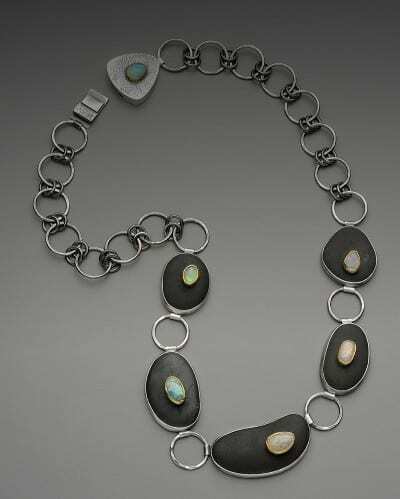 My heritage has bestowed upon me an intense color perception and metalsmithing talents, resulting in the foundation for my art jewelry. 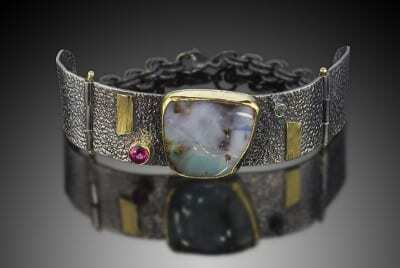 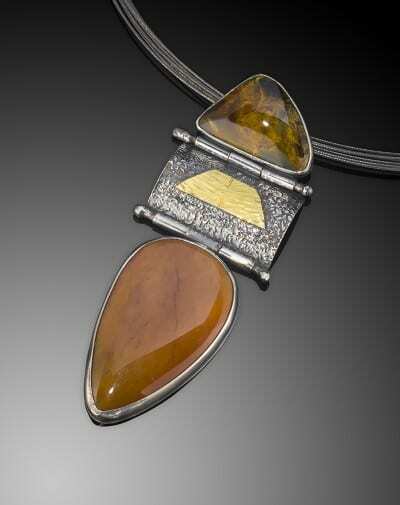 Hand-cut gemstones by my partner, combined in various metals with surface embellishments are how I convey my passion. 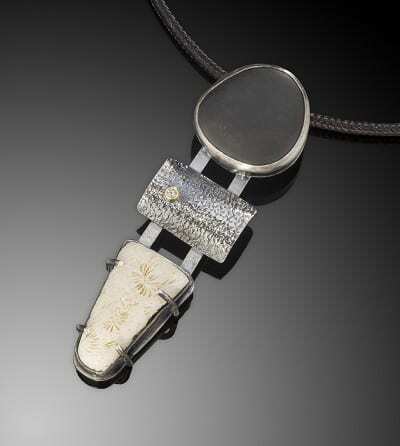 A lot of thought, time and patience have been blended into each piece, creating an heirloom to be treasured for generations.